Some people have gained so much notoriety in their respective fields that their names are almost synonymous with the field itself. When it comes to new media and social business, that person is Brian Solis. Principal of Altimeter Group, Solis has worked with many Fortune 500 companies and authored several books. I recently got a chance to sit down with him for the Software Advice website and talk social media and the evolving customer-vendor landscape. We all know that social and mobile technologies have changed the way customers act and interact. This idea of customer centricity is not a new concept. However, Solis takes it a step further by calling this landscape or environment the “Egosystem.” The Egosystem is differentiated from traditional customer centricity in that the customer is at the center of, or owns, the experience. Yes, customers have always been the focus for companies, but it was the company that dictated the nature of the relationship and the rules of engagement, if you will. 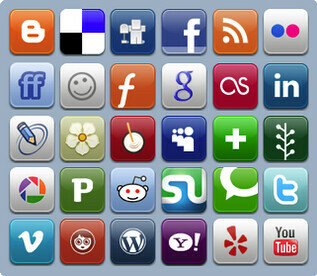 Thanks to social media and smartphones, the customer has immensely increased access to information outlets. They can ask product and service questions via multiple online and mobile channels without ever having to contact the actual vendor. They are in control. I think it is the shift of control that differentiates what Solis calls the “Egosystem” from tradional ideas of customer centricity. I break down each of these individually in my original post.